The Wilson Staff Mini Feather golf bag has a surprisingly lightweight (0.9kg/2lbs) yet durable construction that makes it suitable both for a serious walker and a weekend enthusiast. Among the innovations in its design there is a patented Swivelmax dual strap and stronger, easier-to-operate stands. The bag has a mini Ergo top with 3 dividers, a Swivelmax side clothing pocket and a No-H20 pocket to keep your equipment in order. It is also equipped with a mini flip stand and a detachable hood. 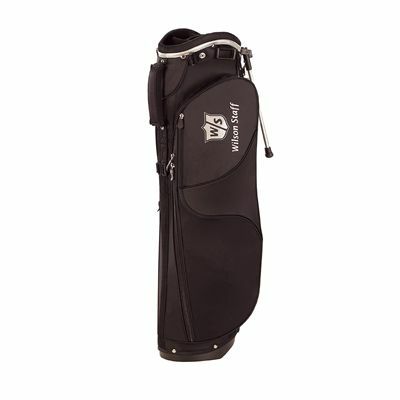 for submitting product review about Wilson Staff Mini Feather Golf Bag .